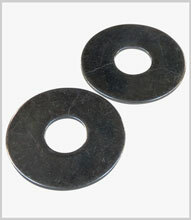 Also known as penny washers and fender washers, mudguard washers have an exceptionally large external diameter compared to their inner dia., thus providing a very wide load spread over thin material and for “repair” of damaged/enlarged holes. 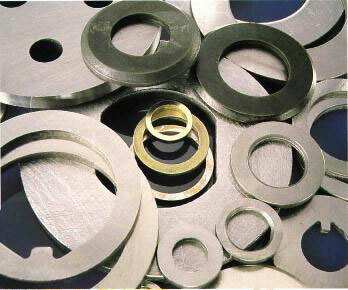 Generally in zinc plated steel or stainless steel, sometimes in nylon. Many standard sizes to suit metric and imperial screws.